Hi all! I’ve got some stuff going on that’s going to affect the shop. First off, we’re moving house next Friday, the 5th of September. The cut off for orders shipped before the move is tomorrow, Friday the 29th at 4 pm EST. We’ll ship orders received before then this coming Tuesday (Monday’s a holiday). After that, the shop will close and all the inventory is going to be packed up and inaccessible until the 12th of September. If I get everything unpacked and sorted out sooner, I’ll open at that time. Secondly, I’m leaving for Yarn School on the 22nd of September and returning the 30th. I’ll post the cutoff date for orders at a later time. I’ll leave the shop open for orders during this absence, but I won’t resume shipping until my return. I plan on putting the fiber club up for sale after the move and before Yarn School. Past members will be notified by email when member slots go up for sale. If there are any slots left for new members, I’ll post on the blog with signup info. See you all after the move! Lots of excitement! Good luck with the move! Phew–what a month you have coming up! I hope it all goes smoothly for you. I fervently wish I could come to Yarn School again. I’ve gone back to regular old boring school, though, and I’m no longer free and easy. ;) (I don’t really think it’s boring, but it’s definitely not in the same class of excitement as Yarn School.) I hope you have a great time. I know that the lucky ducks who get to learn from you, Sarah, and Jennifer will LOVE it. Good luck with the move! The pics of the house look amazing. 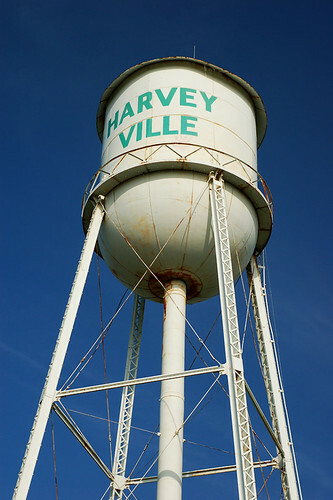 I am so jealous about the Harveyville School. I need to get rich, so I can come sometime!! Good luck with the move! Hope everything goes smoothly. Very exciting!!!!! Good luck with the move and have a blast at yarn school! May your packing go smoothly and may you find everything when you unpack! Woo! Hoo! Can’t wait to see you at Yarn School! good luck with moving. your new house looks great. and i would if i could come to the yarn school. i would love it. Good luck with the move!! I hope you have a great time at yarn school, too. Whew, what a month, you’d better eat your wheaties! Good luck with the move. Your new place looks fantastic!! I know I’m a VERY past member, but I would love to be on the members signups email list. No is, of course, fine. I’ve really missed your fiber! Good luck with the move! I hope things go well. I’ve always been intrigued by the Harveyville project – esp since it’s only an hour away from me – but I’ve never had the time to do it. Sounds like fun though! Happy moving time! It looks from flickr that you are just as busy as I’d imagine. Hope all is going wonderfully well and you are getting nicely settled. Also I love your shop closed notice. Yay, new house! Happy Move! Hope you have a lovely time at yarn school.